How to Take on Middeschool Like a Pro! Middleschool *shutters*! It can be a tough time! But if you stay true to yourself and maintain trustworthy friendships, it can be so much better. Our award-winning Berrybrook Middleschool is about just that — following the everyday lives of future art virtuosos, scientific geniuses, athletic talent, and everyone in between — who blend friendships no matter what “clique” they’re associated with. With Awkward, Brave, and Crush, it’s OK to be you! And it’s even cooler to support those around you. Magical Girls Rule the World! Our biggest category yet — we’re so thrilled to have a huge catalog dedicated to girl power! 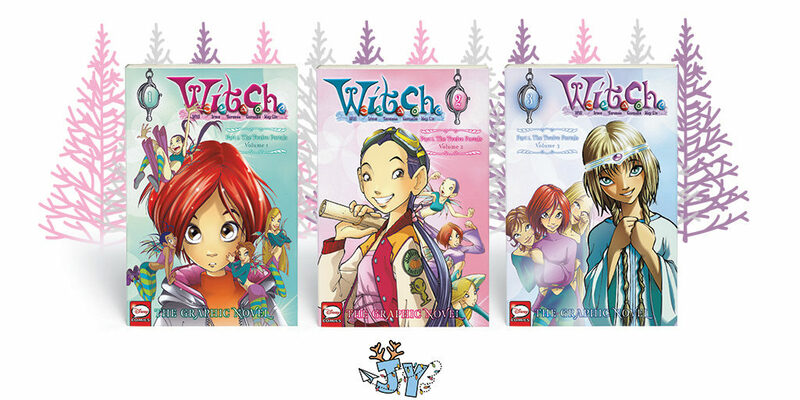 One of our best-selling series, W.I.T.C.H. : The Graphic Novel, comes all the way from Italy. Released in the early 2000’s, W.I.T.C.H. aired as a cartoon show shortly after and was widely beloved by fans everywhere. When we first announced our plan to re-release the series in 2017, fans around the world rejoiced! W.I.T.C.H. is a touch of Disney magic perfect for a whole new generation of readers looking to discover both the W.I.T.C.H. franchise and the medium of graphic novels for the first time! Vol. 1-12 are in stores now. School’s in with Little Witch Academia! 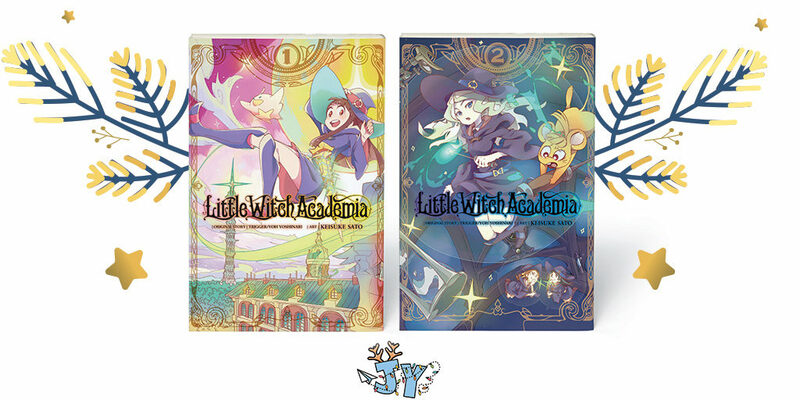 Join the fantastic girls of Luna Nova Magical Academy in this manga adaptation of the hit anime show as they start their adventure as novice witches. In a world of magic, your strongest power is believing — so all you have to do is reach out your hand and your story will begin! Vol 1 & 2 available now! nice, nothing beats true friendship. We believe that friendships can happen anywhere, even with *gasp* a zombie! While Zombie boy may appear to have more differences than similarities to his human friend, he’s really just a kid who likes to have some fun. In the first volume of this comedy, kids will tag along with Zombie boy and his many interesting adventures — like his quest for tomato juice! Crah! 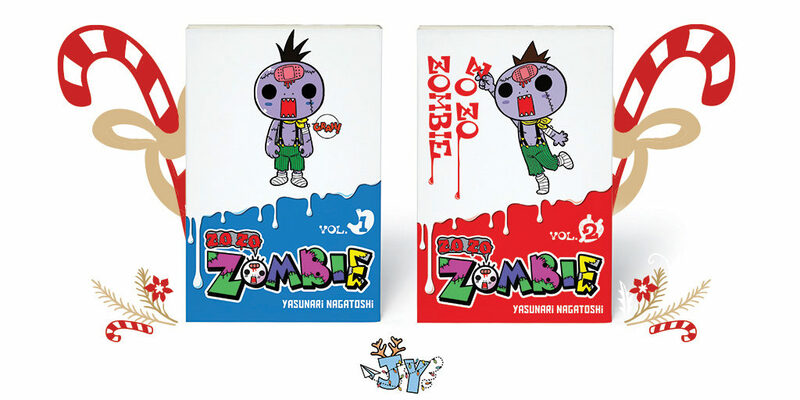 Zo Zo Zombie, Volume 1 is out now, and pre-orders for Volume 2 are available today! Svetlana Chmakova at Barnes & Noble! #PSA! 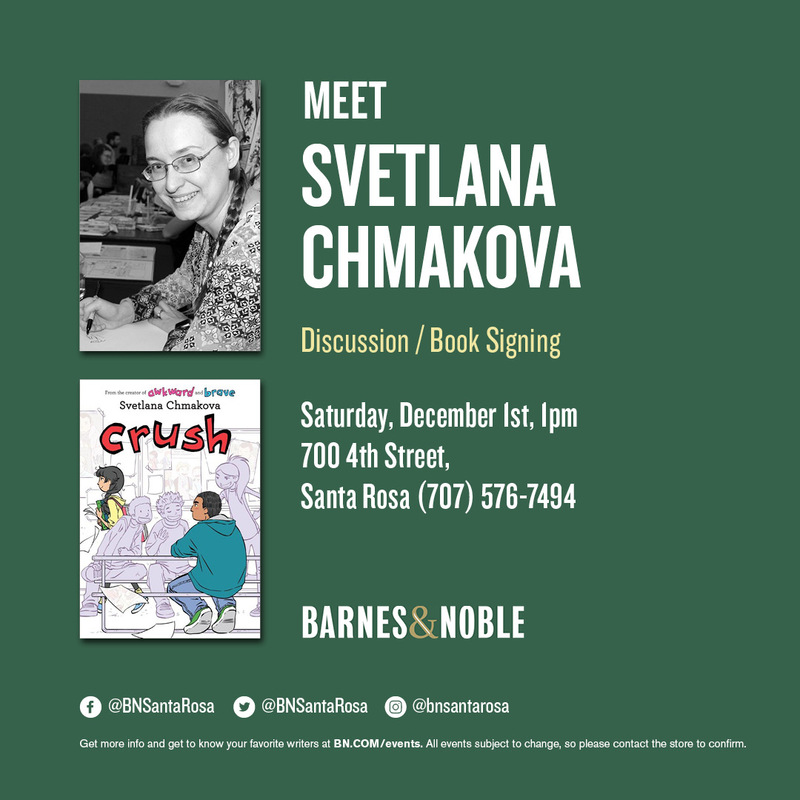 The one and only Svetlana Chmakova is coming to Barnes and Noble Santa Rosa, this Saturday, December 1st at 1PM for her signing of CRUSH! Come by with family and friends to help give a warm welcome! 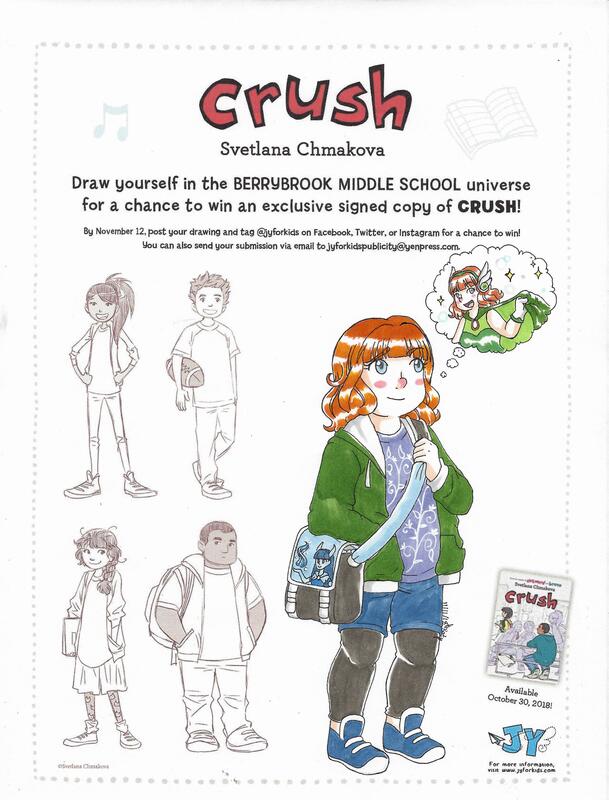 We have a winner for the CRUSH contest-hand picked by Svetlana herself! Congratulations to Kaitlyn K. for her stellar sketch and thorough submission. 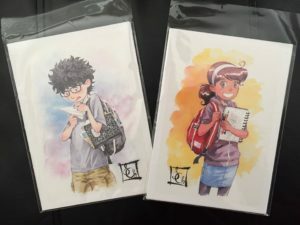 As promised, she will be receiving a signed copy of the book and another special gift…an exclusive signed print of Jaime and Peppi from Awkward! CRUSH is almost here-and we’re hosting a special contest to celebrate its release! 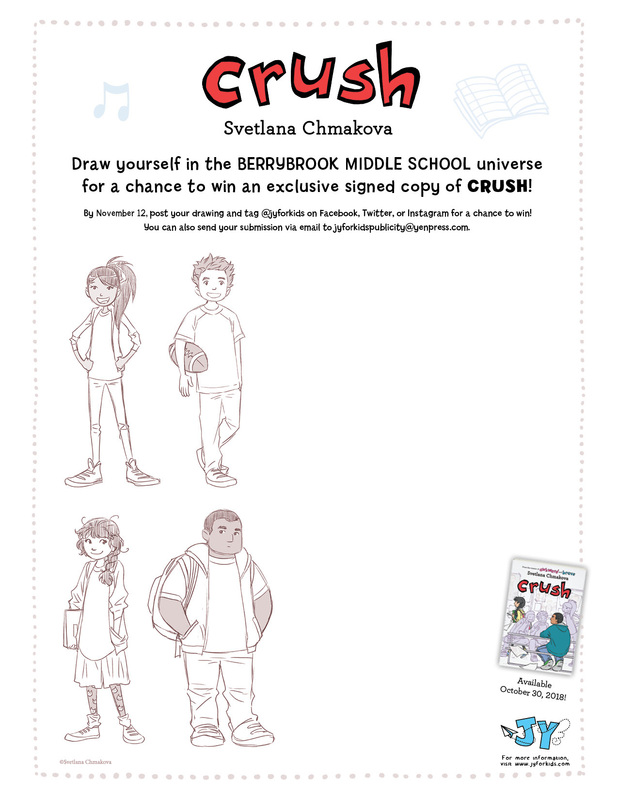 We’re asking contestants to draw themselves into the Berrybrook Middle School universe for a chance to win a signed copy of CRUSH. • Use the Berrybrook Middle School style sheet in this post as a reference to draw your character. We have a whole variety of characters to base your look off of! • Draw how you think you’d look if you were in the Berrybrook Middle School books. Get creative! Use pencil, pen, paint-just make sure you have parental supervision, if you’re under the age of 13. 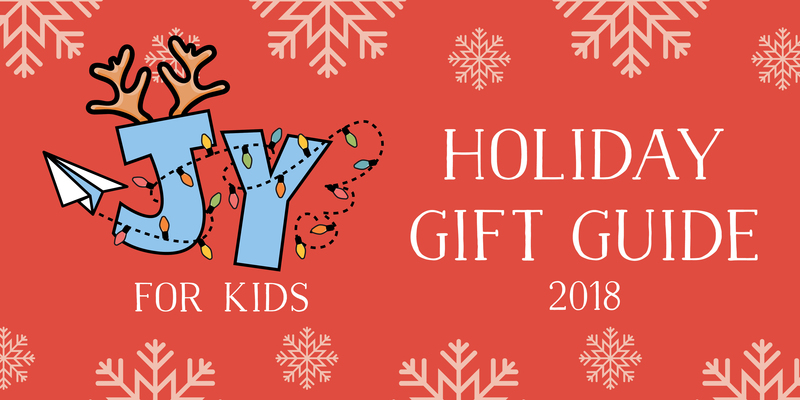 • By November 12, post your drawing on Facebook, Twitter, or Instagram and tag @jyforkids or email us at jyforkidspublicity@yenpress.com so we see your submission. • We’ll announce the lucky winner by Nov. 16! Need some inspiration? Check out this cool speed drawing video of Jorge and Jasmine by Svetlana Chmakova herself! Draw away! We look forward to seeing your beautiful artwork. 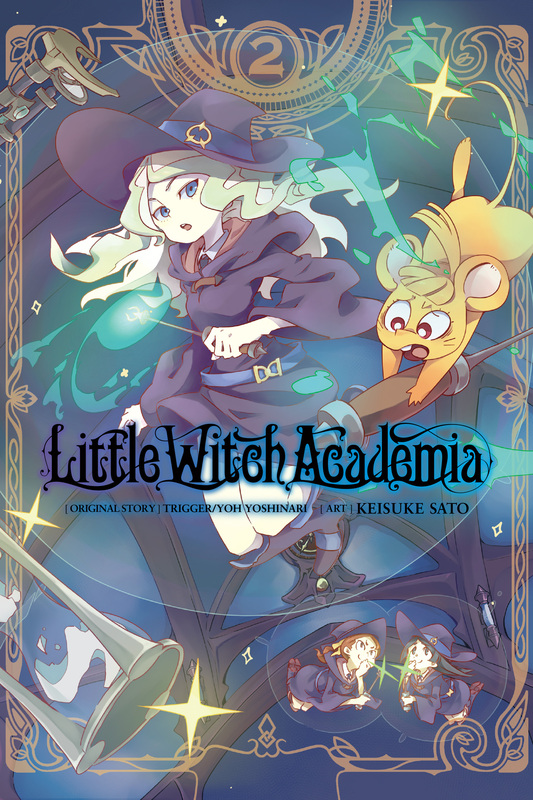 Get ready for the upcoming release of Little Witch Academia, Vol. 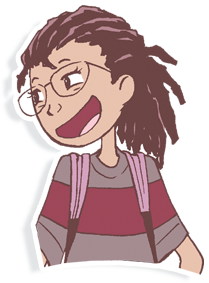 2 with this refresher preview of the first volume, located on our extras page!